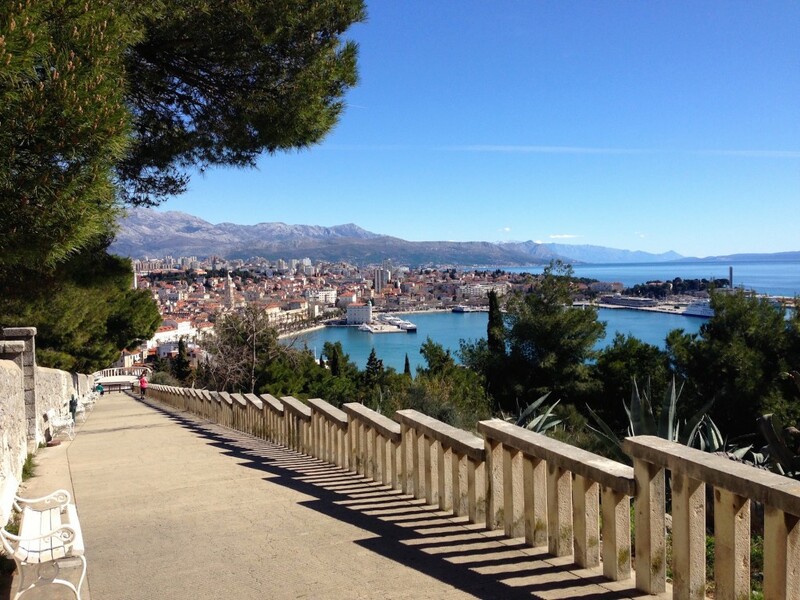 The view of beautiful Split, Croatia from a Marjan Park viewpoint. Croatia has been the surprise of the year for us. We picked this country because of its status as a Non-Schengen country within the EU. When you’re in Europe as long as we’re planning to be here, you have to really pay attention to visa rules in various countries. (I have a spreadsheet for this. I have a spreadsheet for everything… that hasn’t changed on our year of travel!) As Americans, you can be inside the Schengen-Visa group of countries for 90 days of any 180 day period without jumping through hoops to get an official Visa. (The Schengen-Visa group consists of most major European countries.) We picked Croatia as a place to spend about 40 days before heading back into the Schengen area, and MAN we are glad we did! Croatia’s people are incredibly warm and friendly, the scenery is absolutely breathtaking, almost everyone speaks English, and most importantly for long-term travelers, it’s an inexpensive place to be! 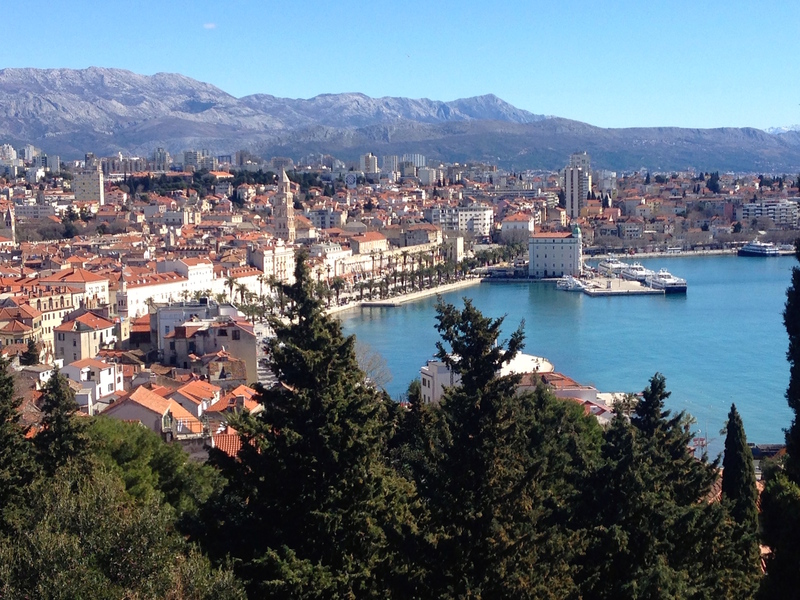 If Croatia wasn’t already on your travel list, it needs to be. Go ahead, update your spreadsheet. Put Croatia at the top! By the time this post gets published, we’ll be in Zagreb, Croatia’s capitol city. After that, it’s onward to Budapest for four weeks. So for the next few weeks, I’ll be playing catchup and will be putting out posts about our adventures here in Croatia. 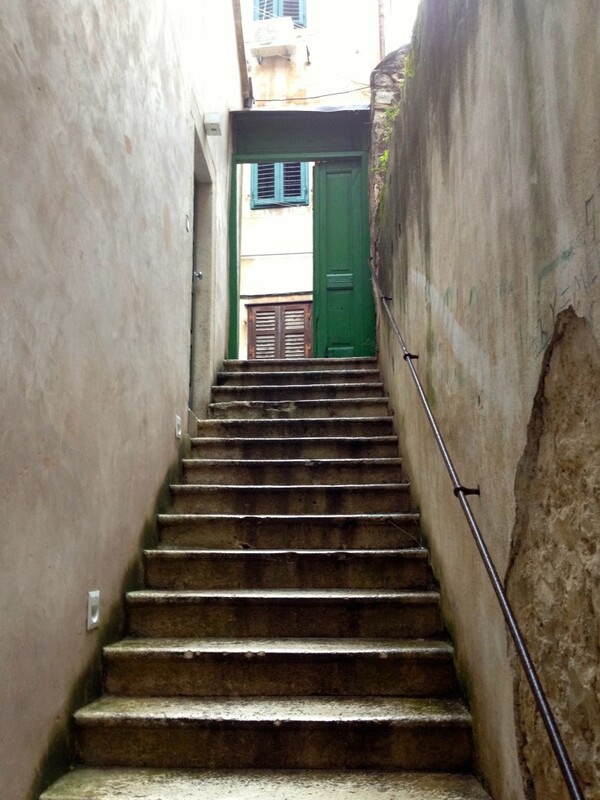 We’ve been on several day trips: One to Dubrovnik (a City fit for Kings! ), another to explore still war-torn Bosnia, and a wonderful trip to Krka National Park with its impressive waterfalls. Stay tuned for those posts! In the meantime, here’s a peek at what everyday life in Split, Croatia has been like since we arrived here a few weeks ago. Happy Travels, friends! I was serious when I said Croatia needs to be in your travel list. But when should you visit? We’ve been told by MANY locals that you should avoid July and August at all costs. Cruise ships descend on Croatia’s best cities during this time, making all of Croatia’s best attractions absolutely packed to the point of being unbearable. In addition to the crowds, accommodations are at their highest prices and the heat can be unbearable! If you can, visit in June or September. Locals recommend September if you plan to hit the beaches so the water has warmed up a bit. June is perfect for folks who aren’t interested in water or don’t mind the cold. 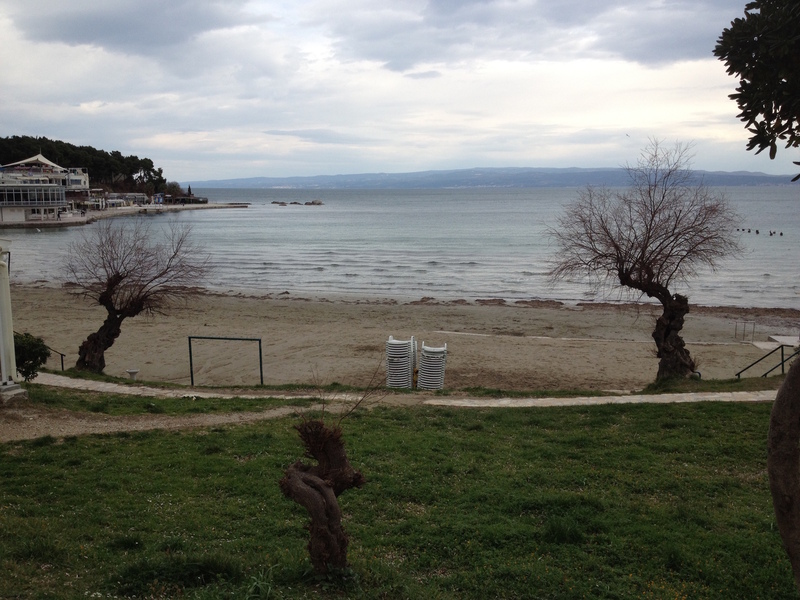 One of Split’s Beaches. We sure wish it was warm enough for swimming! We’ve enjoyed being here in February and March, the lowest of the low season, when it’s rare to see other tourists. When we were recently at Krka national park, we saw just SEVEN other tourists in our entire day there! SEVEN! Low season is great, but it does come at a cost. Some restaurants and shops close up for all of Winter. Buildings everywhere are under construction. Sometimes it’s cold and rainy. We didn’t get to swim at the beaches. If you’re coming for a whole month like we have, low season is fine because you can hunker down on cold, rainy days. If you’re short on time, it’s best to avoid Winter. 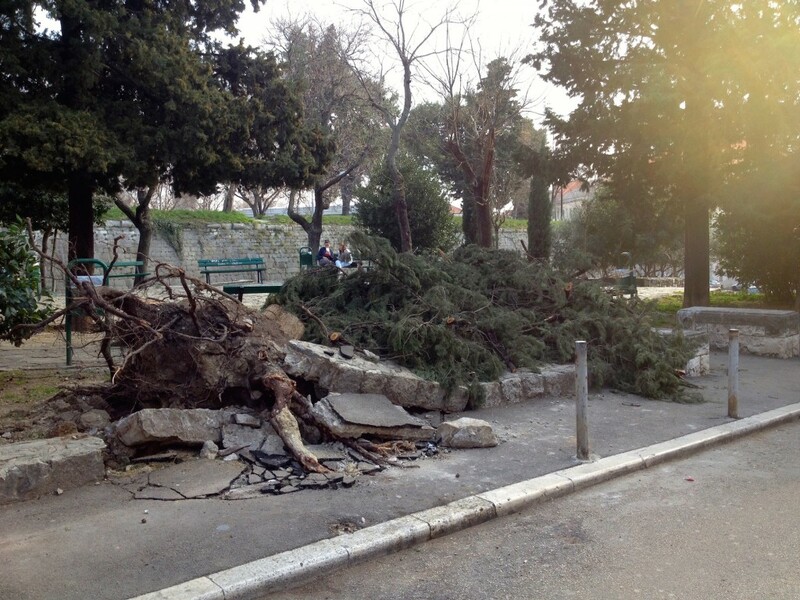 During the Winter low season, there are crazy wind storms! These ships broke free of their lines and blew across the bay! Wind damage from a winter wind storm! This tree was blown over and uprooted, tearing up the sidewalk! Probably the worst thing about low season, though, is that the ferries operate on a very, very reduced schedule. 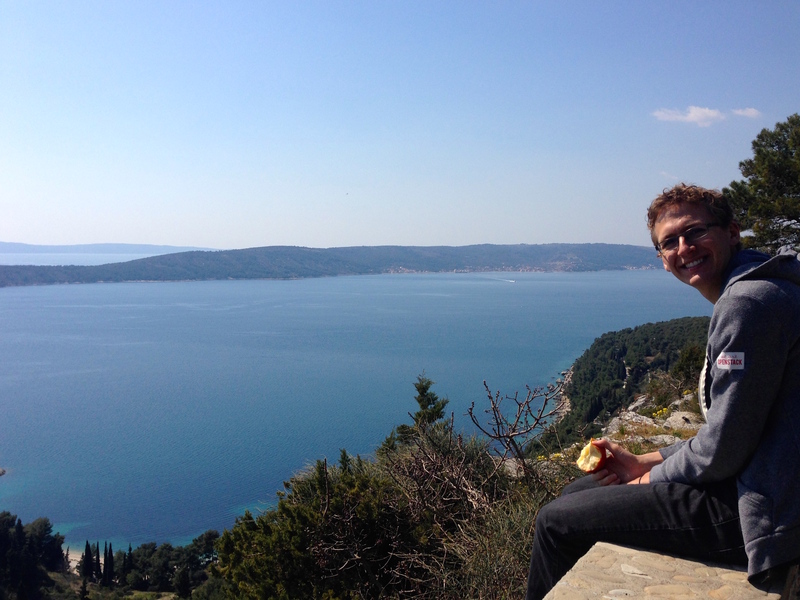 We wanted to make a day trip to the nearby island of Hvar. But doing that involves a 2-hour car ferry early in the morning, then a 40-minute bus ride on a bus that may or may not actually be running. (Still no word on what you do if the bus isn’t running!) Reaching old town Hvar, where many shops and restaurants are probably closed up for Winter anyway, proved to be too much of a challenge for us to endure. In the summertime, a passenger catamaran runs several times a day, shortening the trip to just a 1-hour ferry ride each way! You heard it hear first, folks, we’ll be coming back someday in September! 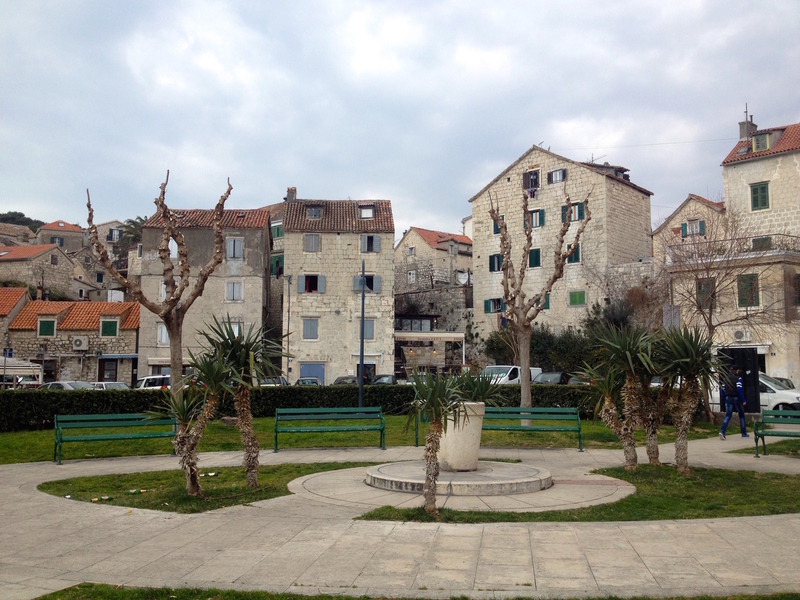 If Kevin and I had to pick just ONE reason that Split has grown so near and dear to our hearts, hands down it would be Marjan Park. 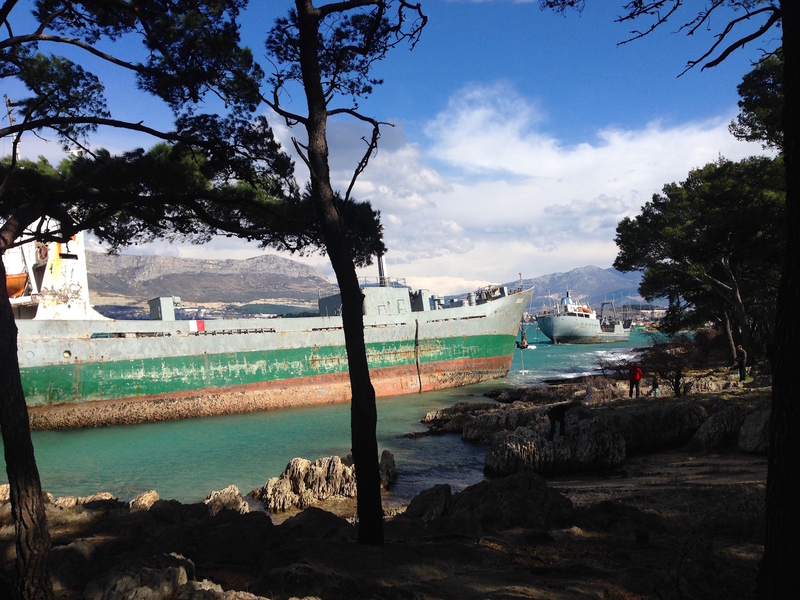 Marjan is an enormous park (the size of New York’s Central Park!) 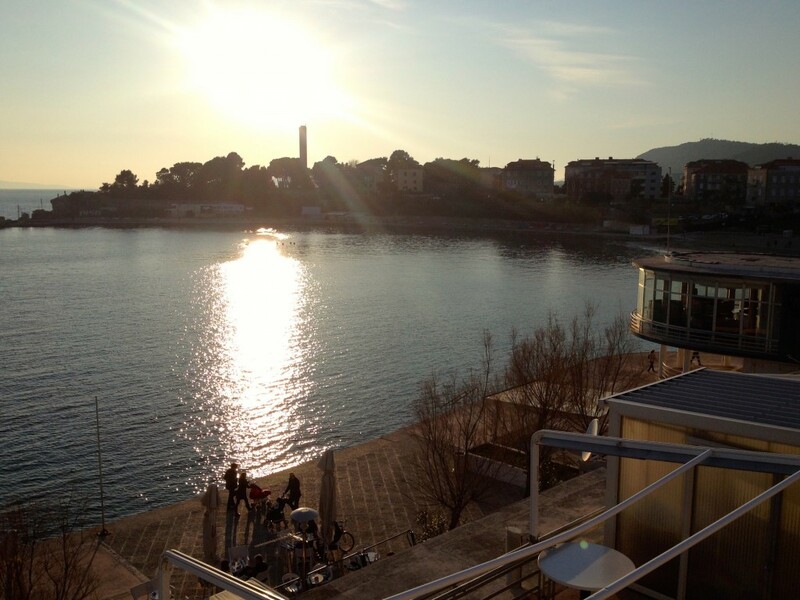 located right next to the Split’s city center. On any given day, the park is full of people enjoying the great outdoors. Can you think of a more beautiful place to run than this?! It’s hilly, green, beautiful, surrounded by beautiful blue water, and it’s largely free of car traffic! 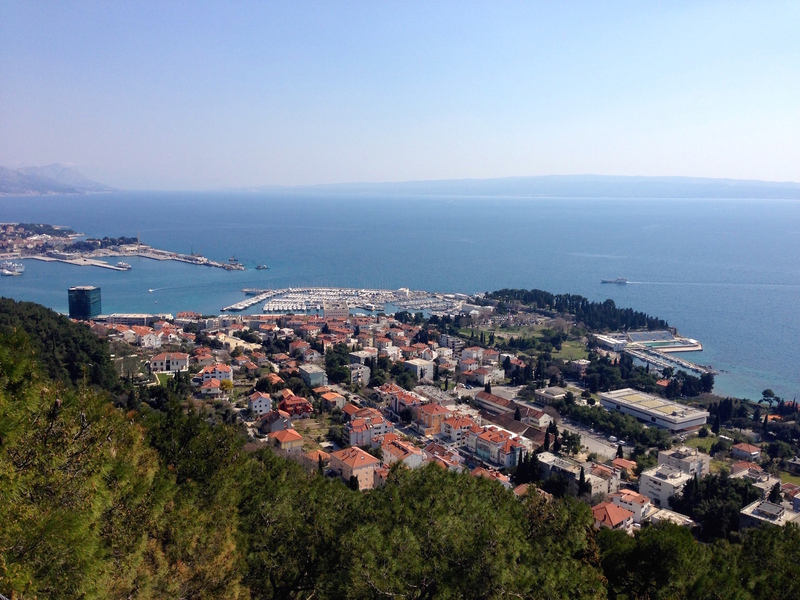 A full lap around Marjan Peninsula is about 6 miles, perfect for a sunny Springtime run. 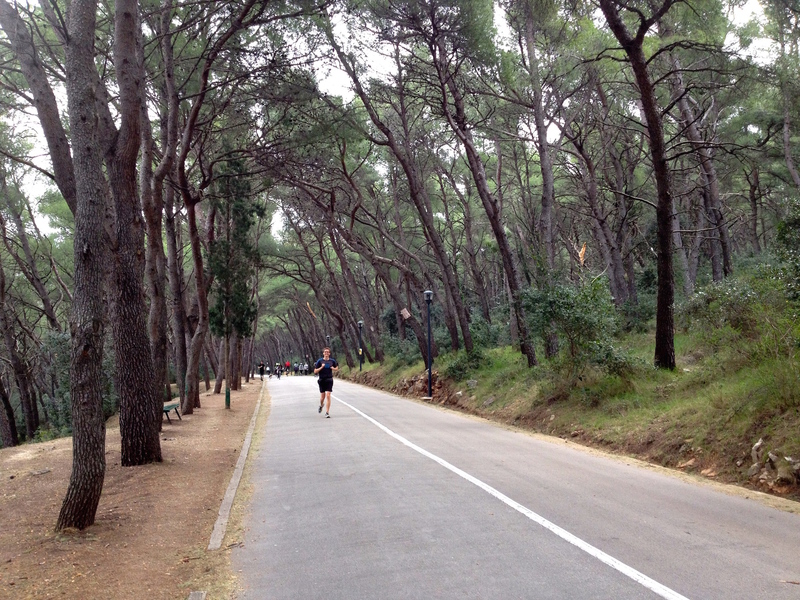 Here’s Kevin, running in the pedestrian-only area of Marjan. If running’s not your jig, it’s also a wonderful place to hike up and take in some beautiful views. We had a great picnic there on the second day of Spring. Check out this awesome picnic spot!! 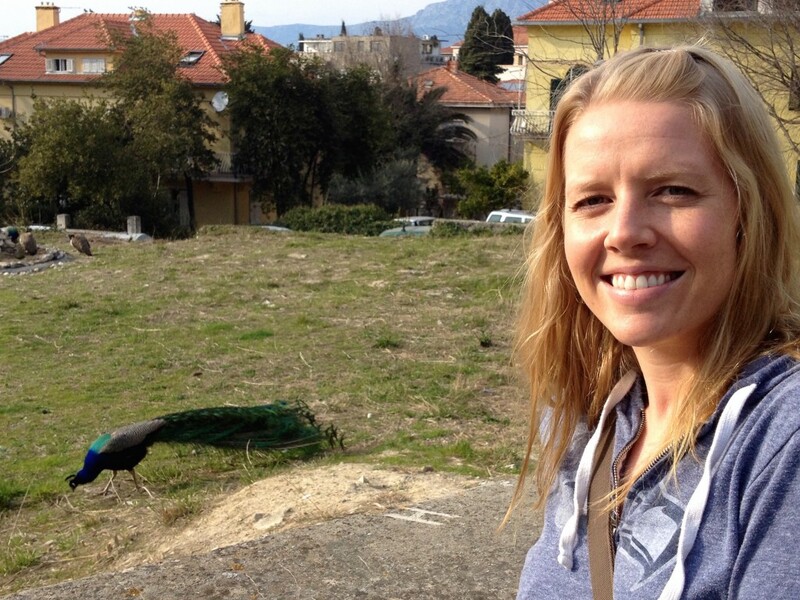 We lucked out and got a fantastic 2-bedroom 1.5-bathroom apartment here in Split. We really took a gamble on this one – it was brand new listing on Airbnb and didn’t have any reviews yet, which is normally a HUGE red flag for us. But the owner gave us a great deal so we decided to go for it. Our apartment is located on the first floor of a building with about 6 apartments. All the other building residents are part of the same family, related in some way to our fantastic landlord Stjepko. This apartment is perfectly located, has super fast Wifi, a well-equipped kitchen, the most comfy bed ever, and is in a quiet, safe neighborhood. If you ever find yourself traveling to Split, we recommend checking out the listing on Airbnb. Split has supermarkets all over the town center just like any other European city. 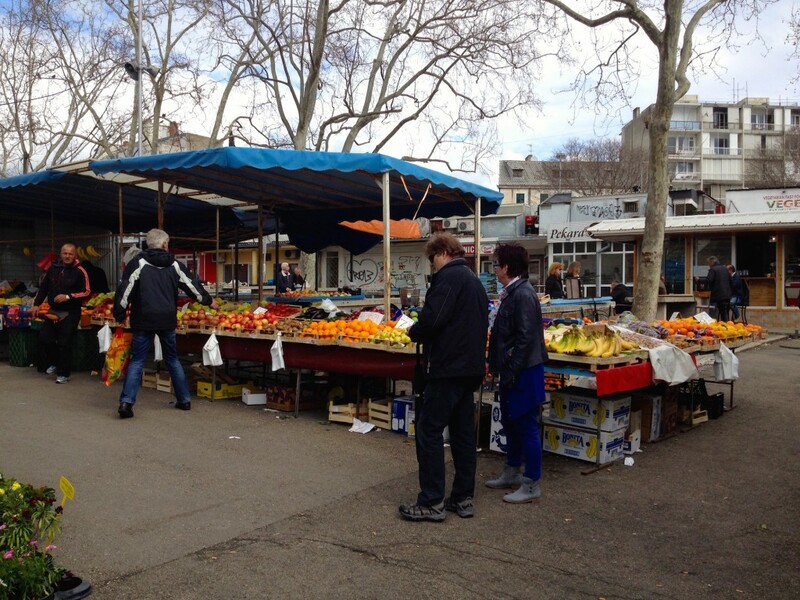 Shopping at these markets is pretty easy. (Except for the time we accidentally bought 2 pounds of sandwich cheese. 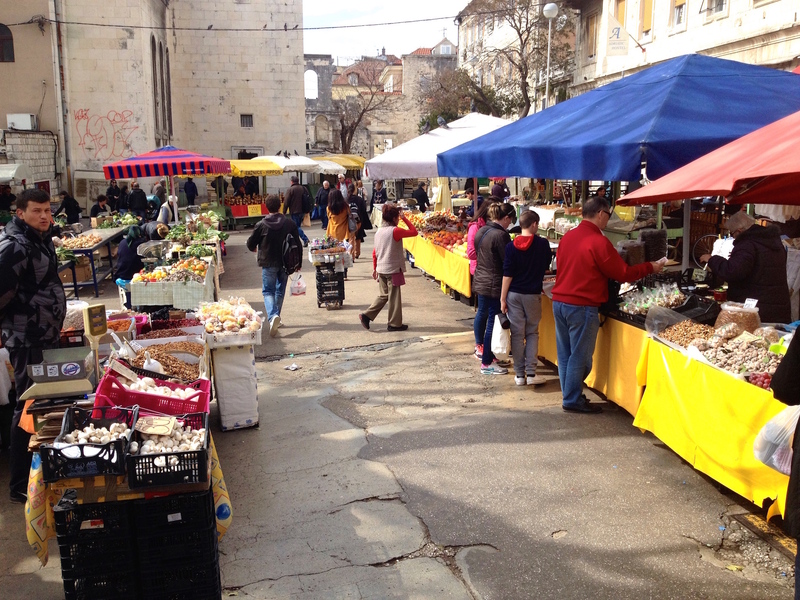 Conversion error…) But we usually prefer to go a bit more local with our shopping, and have spent a lot of mornings roaming around Split’s outdoor Green Market. 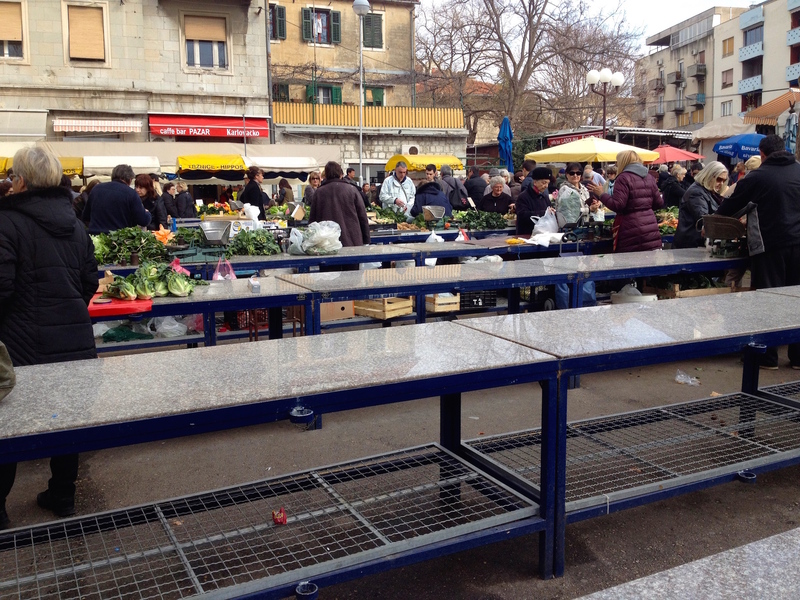 Split’s Outdoor Market, open every day! 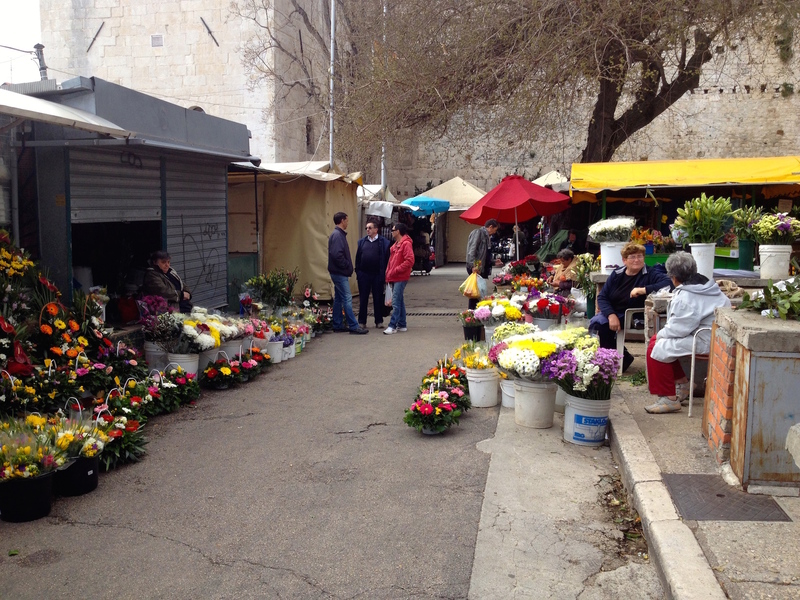 Located just east of Split’s historic old city, the Green Market is impossible to miss. It’s really hopping in the morning, especially on sunny days. Food stalls start wrapping things up around 1pm, so be sure you arrive early! 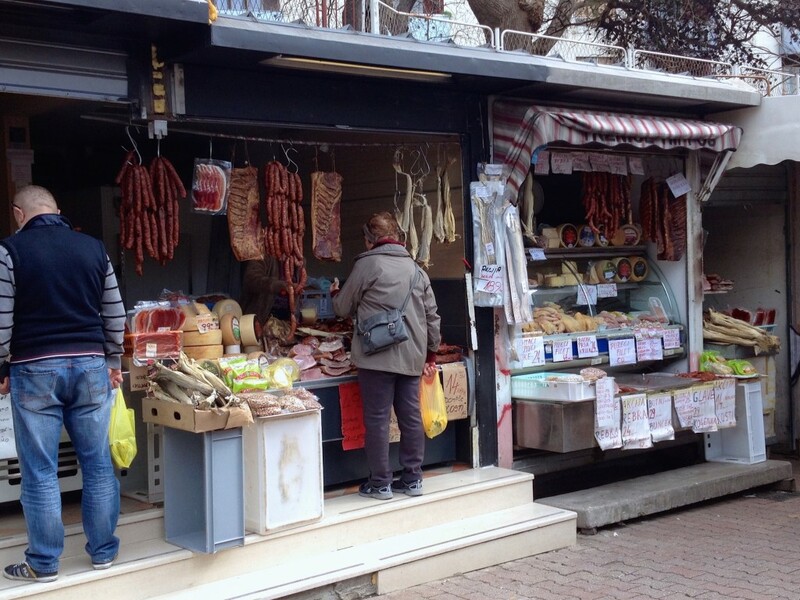 You can find everything at the green market, from salted dried cod to prosciutto to nuts and dried fruits to wild asparagus. There are butchers and bakers and candlestick makers, there is a flea market area, and you can stock up on socks and underwear. You can buy flowers and fresh fruit, home-churned butter, homemade cheeses, and all sorts of produce. There is no shortage of bakers here, either – snag a whole bag of cookies for under $1! A meat and cheese vendor at the market. Check out the dried hanging cod in the booth! 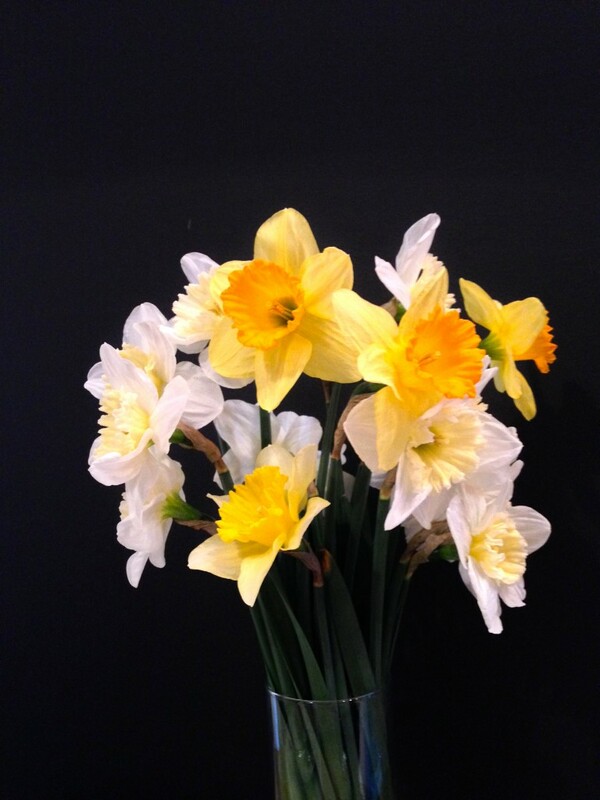 Daffodils from the Green Market for less than a buck! We became especially fond of one fruit vendor we returned to every few days. 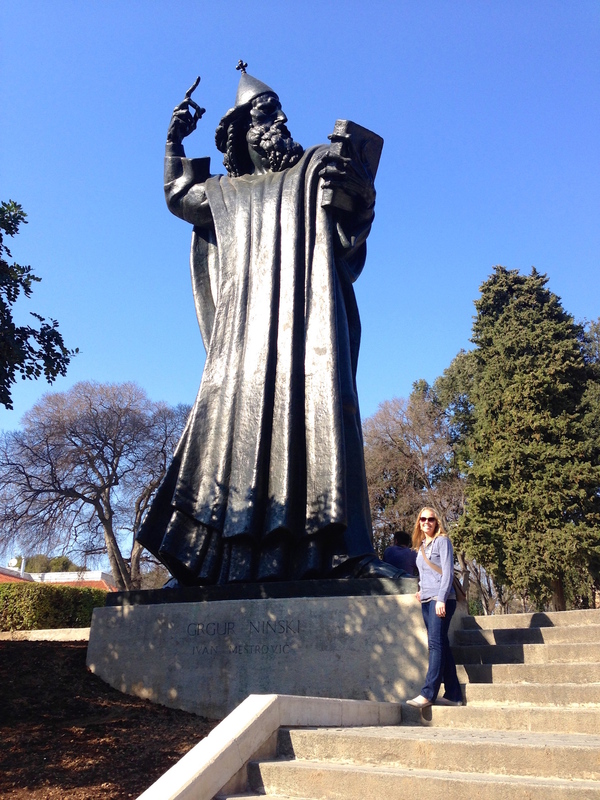 By the time we’d been here a few weeks, he’d wave at us and say “Dobar Dan!” when we walked up. (Dobar Dan means good day!) Every time we’d buy fruit from him, he’d try to convince us to get some strawberries. We kept saying no because apples and pears are so cheap here, but finally we gave in and bought some in our last week in Split. He was so excited he hollered “Yah!” and gave us two thumbs up! We will never forget that guy. This is our favorite fruit vendor’s booth! He’s the guy in the far left of the photo, with the red stripe on his jacket. Another vendor we visited regularly was the egg lady. She is a lady probably in her 70s and sells eggs by the 10-pack (there’s no such thing as a dozen eggs in Croatia. I don’t know why, they always come in 10s! ), and we can tell she doesn’t know quite what to make of us. She doesn’t speak a bit of English, and we don’t speak a bit of Croatian. I’m pretty sure might think we’re complete weirdos for being here as tourists in March, but that’s okay. 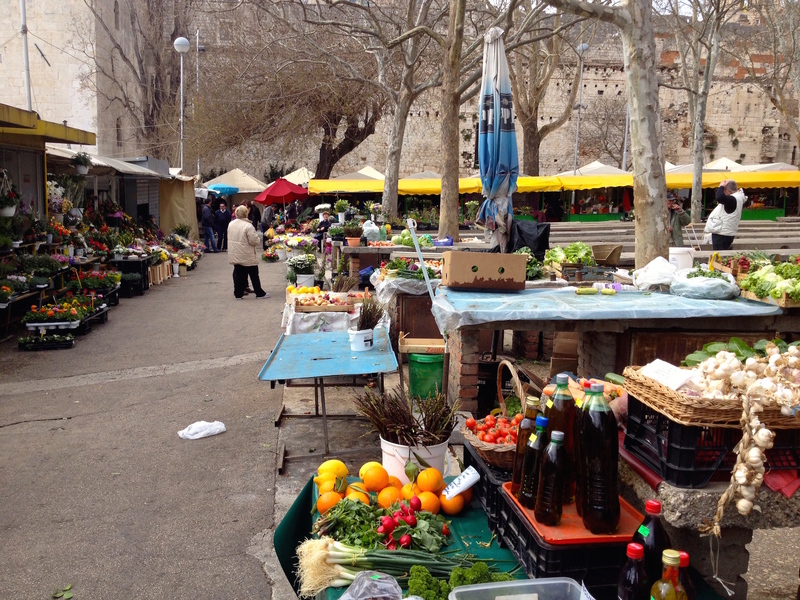 More stalls at Split’s market, right next to the old city wall that’s hundreds of years old! A photo in Marjan Park. This is the highest viewpoint you can get to. 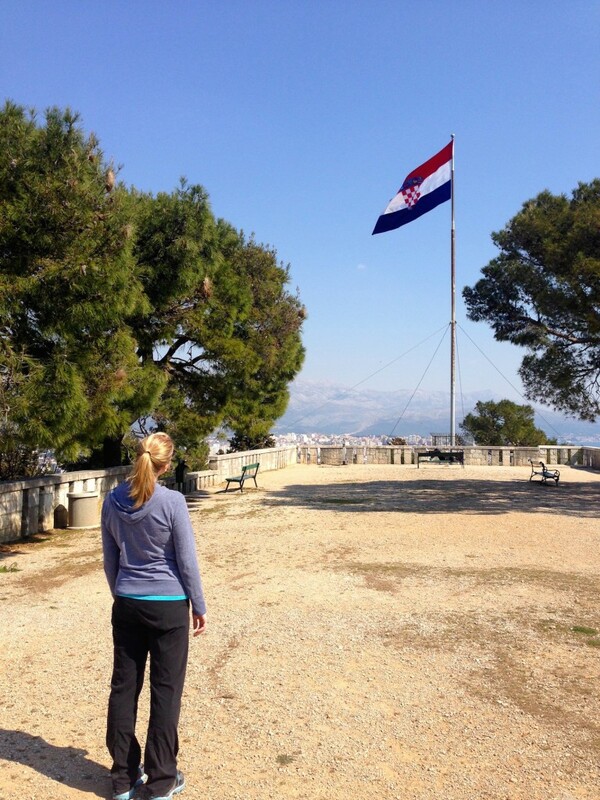 The red, white and blue Croatian flag is always flying high above the town of Split. The view from the top of Marjan Park. Another Marjan Park shot. This cute little chapel sits on one of its many viewpoints. 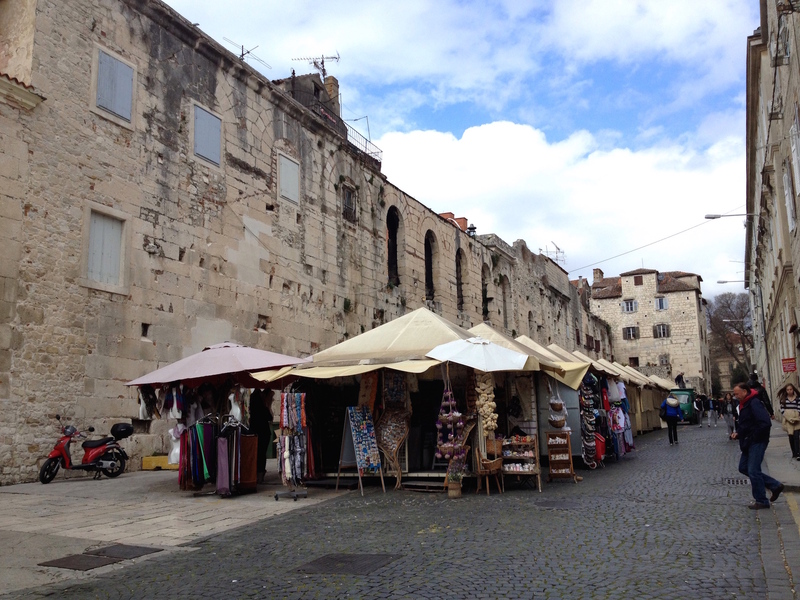 The Diocletian Palace walls are such a fun backdrop for the outdoor market. 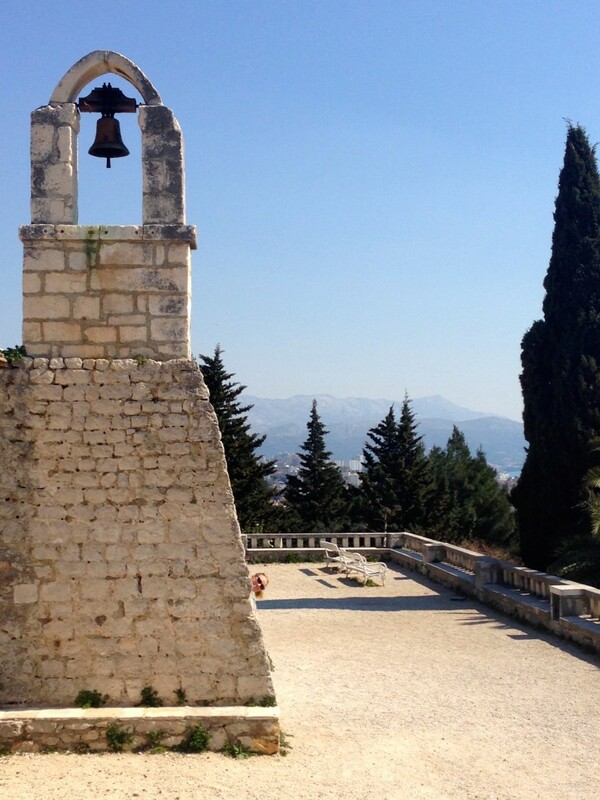 In the back there is the tower that belong’s to Split’s Cathedral. 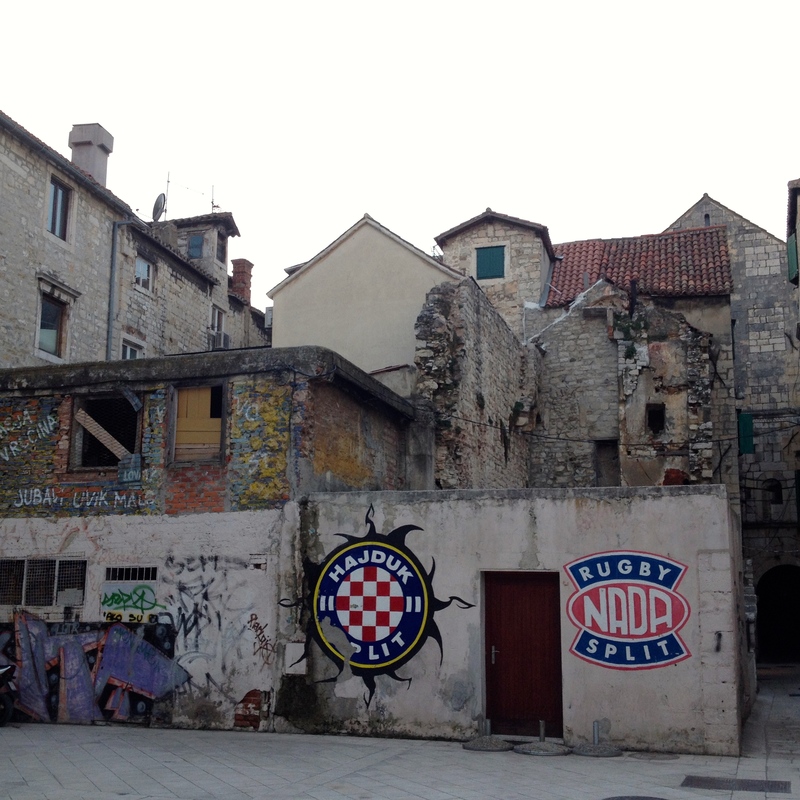 Everyone here is a fan of the Split Hadjuk football team! Their logo is everywhere. 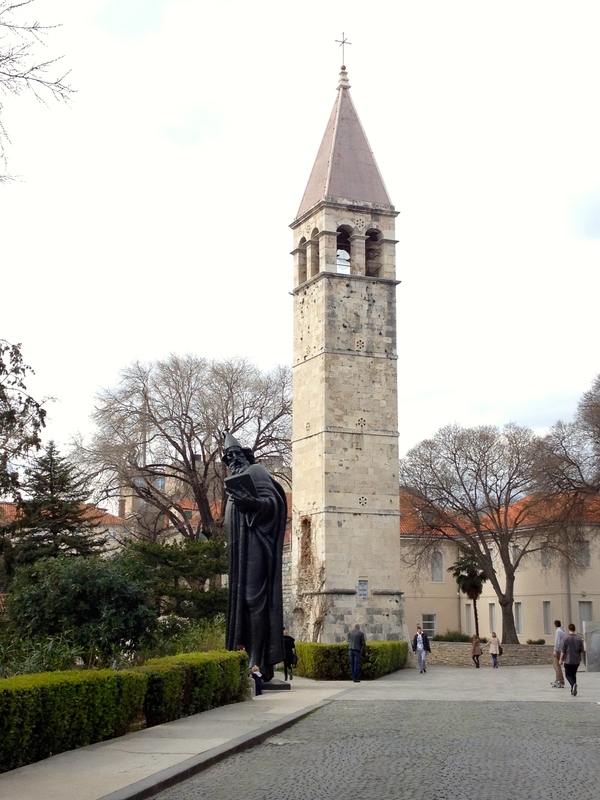 Split’s famous Gregory of Nin statue. Rubbing his toe is said to be good luck! Another shot of Gregory of Nin. He lives just outside the North Wall of the Diocletian Palace. A beautiful sunset over one of Split’s beaches. 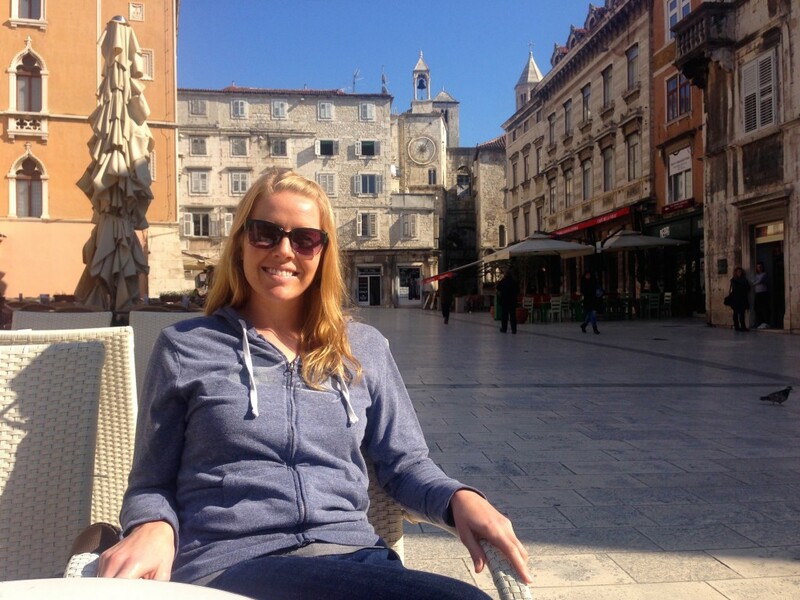 It’s fun to kick back, relax, and have a coffee in one of Split’s sunny plazas. 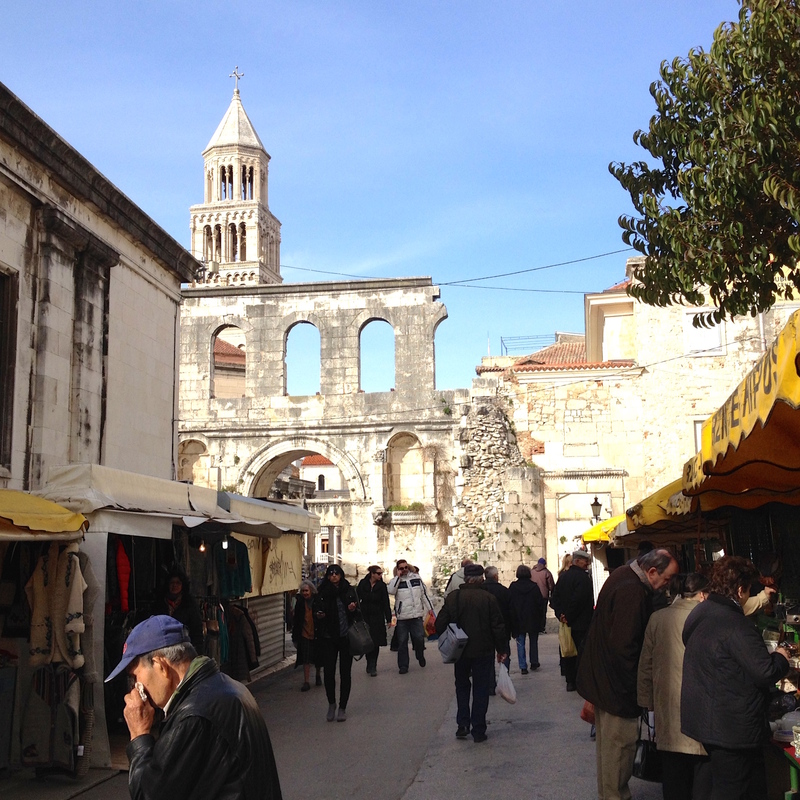 The charming historical center of Split. 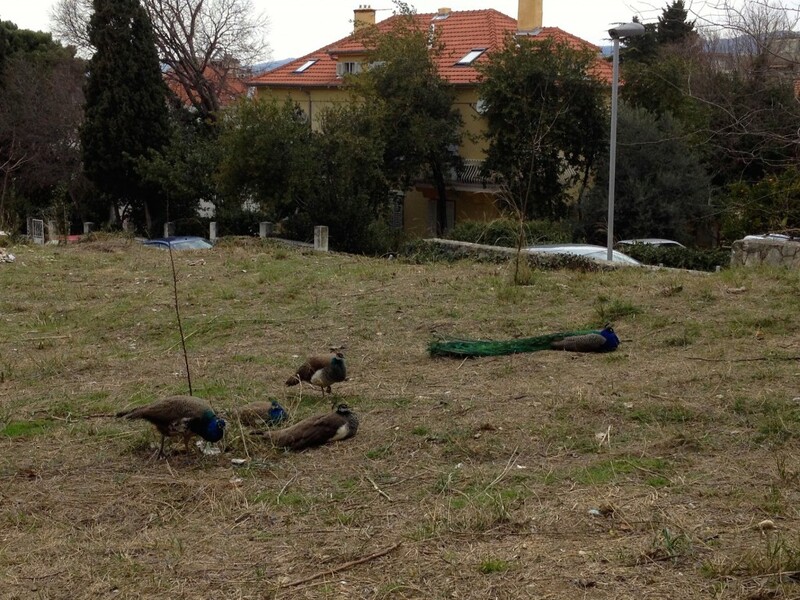 There are about 2 dozen peacocks living in our neighborhood in Split! Have I convinced you to visit yet? Go ahead. Book your flight. You won’t regret it! Pingback: 4 Months in Europe for Less than $29/Night. Here's How to Save Money on Airbnb.